This post in Discover Magazine offers some valuable insight into peer reviewed journals. Within any scientific field, science journals are meant to weed out bad science, while promoting strong, rigorous, scientific research. And for the most part, they do exactly that. But like everything in life, there are some bad ones. Referred to as ‘predatory’ journals, they take advantage of unsuspecting scientists and pave the way for fraud. A science research article was sent to nine different journals to see if they could be tricked into publishing a fraudulent paper based on absurd science found only in the Star Wars universe. The paper was submitted by Dr. Lucas McGeorge and Dr. Annette Kin, and delved into midi-chlorian research. That’s right, the paper was filled with substantial force capabilities, fake terms and non-existent diseases. We learn about the Kyloren cycle, midichlorian dysfunction, the anakinplerotic reaction, JARJAR syndrome, Yoda’s ataxia, wookie’s disease, Bink’s disease and lightsaber’s hereditary optic neuropathy. 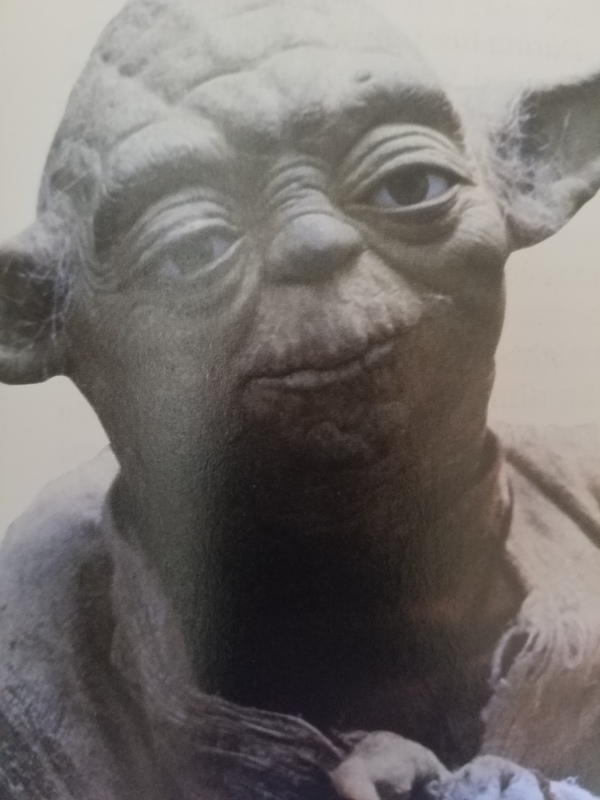 The author even told the story of Darth Plagueis the Wise, who could use the force to influence the midichlorians and create life, and explained how midichlorians can speak to us, telling us the will o’ the force. In addition, the author acknowledged that the majority of the paper was Rogeted- meaning that he copied Wikipedia and reworded it, and he apologized for the plagiarism in his references. I have to admit, this was a beautiful sting, and I wish I’d have thought of it myself. Out of nine journals the paper was sent to, four accepted the paper, and three published it! One asked for a $360 publishing fee, but no money was paid. Only three of the journals rejected the paper, while two others requested revisions. The point of the paper was to demonstrate that there are some peer reviewed journals where there is no real peer review. And that’s important to know because some people blindly accept whatever has been peer reviewed and regard it as truth, while dismissing that which has not. Now, this wasn’t the first time a sting operation succeeded. Another author, known as “Dr. Fraud“, applied to an editing position at 360 open-access academic journals, and 48 hired her as editor in chief! I’m glad these issues with peer reviewed journals are finally gaining attention; it’s something that I, and many others, have been pointing out for a long while, but I think the issue is much deeper. In addition to out-right fraud, some authors have to battle against bias in order to publish their paper in a reputable source. Some journals are biased against certain findings and will only publish research that conforms to a particular agenda or conclusion. I’ve heard first hand from scientists how their work was withdrawn from published sources based on such biases. One recent example is an article titled, “Biomechanical Characteristics of Hand Coordination in Grasping Activities of Daily Living”, which was published in the journal PLOS ONE. Unfortunately for the authors, their paper mentioned the word “creator”, and, shamefully, the public outrage forced the journal to retract the article. “our study can improve the understanding of the human hand and confirm that the mechanical architecture is the proper design by the Creator for dexterous performance of numerous functions following the evolutionary remodeling of the ancestral hand for millions of years”. The paper was a legitimate peer reviewed article, properly published, and even advanced evolutionary theory. But it violated an unwritten code regarding how to treat articles related to intelligent design. Such bias demonstrates how legitimate research can be wrongly censored. Needless to say, the peer review process isn’t perfect- even for respected journals. Editors and researchers can be greatly mistaken, about a great many things. Whether a journal is legit or not, they carry influence and can sway public opinion. Therefore, it’s important to keep all this in mind when someone speaks of peer review or are critical of something that hasn’t been peer reviewed. If something is peer reviewed, that’s all well and good, but maintain a proper, healthy perspective, and follow-up with further research.